Myles Lorentz, Inc. is a family owned construction trucking company specializing in on and off highway earth moving applications. 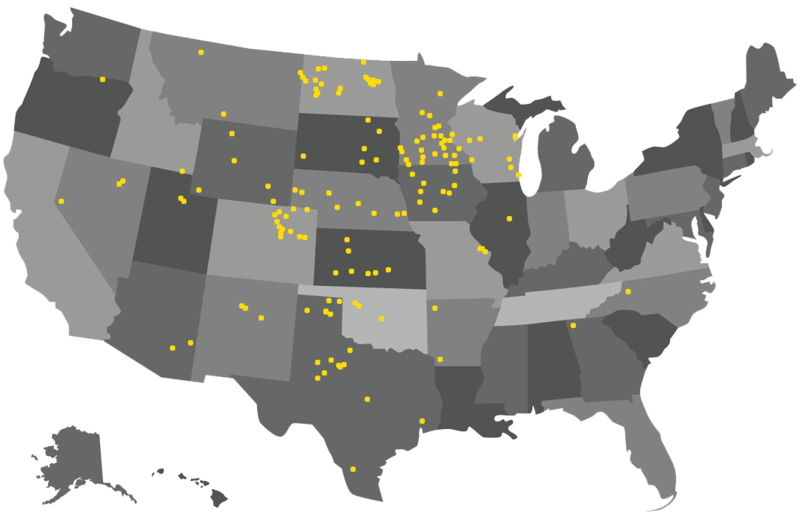 For more than 50 years, MLI has built relationships with select construction companies across the United States on a multitude of projects. These projects include highways, airports, railways, wind power, power plants, dams, site development, and mining operations. With a large fleet of specialized equipment MLI has industry-unique capabilities and efficiencies in earth moving operations. This fleet of specialized equipment includes a large belly dump division of more than 30 haul units that have been designed for mass-earth moving for both on- and off-road applications. A fleet of quad-axle belly dumps allows for additional payload for on-highway hauls while maintaining production efficiencies. Heavy equipment spreads have been matched with the haul units to optimize production capacity. In addition, MLI maintains a fully equipped repair shop and operates its own heavy haul division to support onsite equipment and crews. MLI is built on hard work, integrity, and safe operations. MLI takes pride in its reputation as a premier partner on projects. With a team of more than fifty people, MLI’s staff and crew are comprised of dedicated and experienced professionals committed to providing quality services. The company maintains strong industry relationships and is committed to grow and develop solid relationships across the construction industry. Additional information about MLI is available by calling 507-625-3886.